I have used HDMI FOREVER and now my tv won't play until I replace with component cables. Why? BEST ANSWER: It's because your cable company does not want you to be able to copy any video material to anything but their DVR unit from which you cannot copy it to other devices, including burn your own DVDs. I have experienced the exact same thing regarding not being able use HDMI cables and having to replace them with component cables. 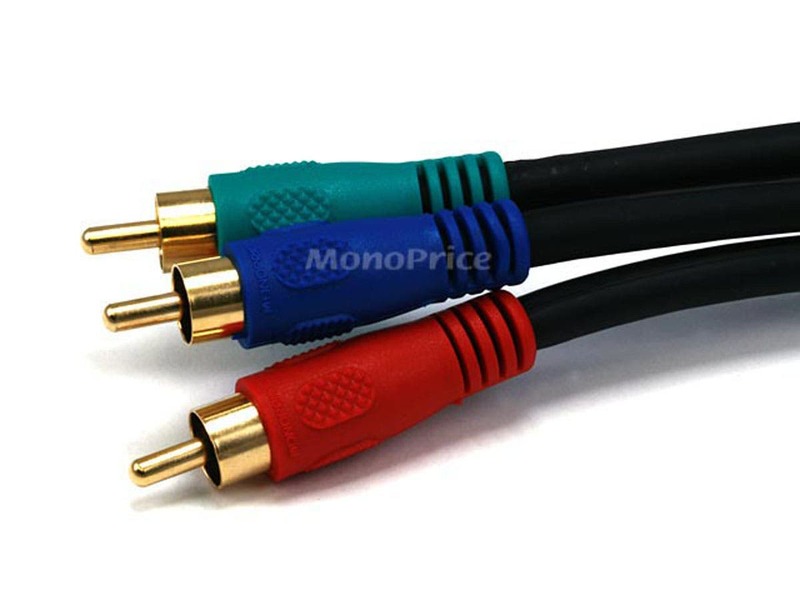 On the brighter side of things, I can tell you from personal experience there is VERY little loss of video quality in switching to component cables. It's just a lot less convenient running 3 or 5 strand bunches of cables vs. a single HDMI cable. I've used many of these to connect DVD players, Blu-Ray Players and others to receivers and TV's and they never let me down. Let me first say that I buy a majority of my cables from monoprice and have no issues, but this wire is a dud. 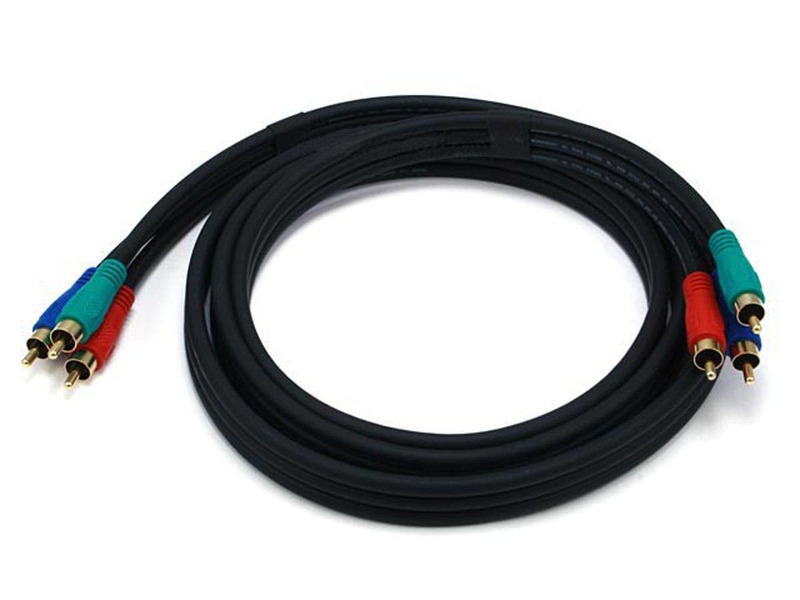 I'm using this cable to connect my directv receiver to my AV receiver. The cable keeps sliding off of the connection of my receivers. The wire has plenty of slack. Its like the connectors are to large therefore not producing enough grip for the cable to stay connected. I can't use this wire. I wish I kept the generic wire that directv supplied me. CONS: The conductors keep slipping off the connectors which results in losing video. These cables are just what I needed to connect an older DVD player to my new LED TV. I am very happy with their performance. Based on this experience, I would buy again from Monoprice in a heartbeat! PROS: Cables appear to be of superb qualiity! They produce a nice clean picture on my new 46" LED TV when used with my Sony DVP-SR200P. CONS: Took somewhat longer to receive than I expected - not sure where the delays occured, but the time was still very reasonable for free shipping. I bought this to replace an older cable, PID 6303, which was loose and caused popping in my subwoofer whenever the cable was touched. This cable connects tightly on both ends, and does not have this problem at all. PROS: Right cable, fast delivery. PROS: the cable was great and I got it quickly. Thank you for your review. And I am truly sorry to hear of your experience you have had with this product. We will be taking your review into consideration so we can look into the PID#. Thank you for your understanding and patience in the matter. For now, if you prefer, I can assist you in setting you up for a replacement on the item if you haven't done so already. We do warrant our non-electronics and cables with a lifetime warranty as well as a 1 year warranty for electronics. It will be of no additional cost to obtain a replacement, so please let me know if you want to continue. I would just require your order# to set it up. Alternatively, if you are truly unsatisfied of the item I can assist you in setting up a return. Thank you! Another top-notch product from a top-notch company. Keep up the good work, Monoprice!